Electric Red, Apricot and Lilac – AmeriColor Corp. 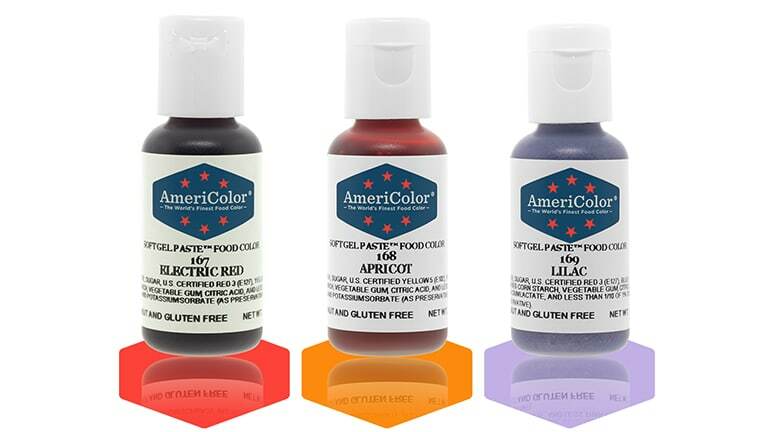 Introducing three new colors from AmeriColor®—Electric Red, Apricot and Lilac! These colors are available in .75 oz and 4.5 oz Soft Gel Paste exclusively in our online store!